I am thrilled to announce that I am now a Designer for the Stampin' Queens Sketch Challenge! The challenge is every Wednesday and the sketches are divine. 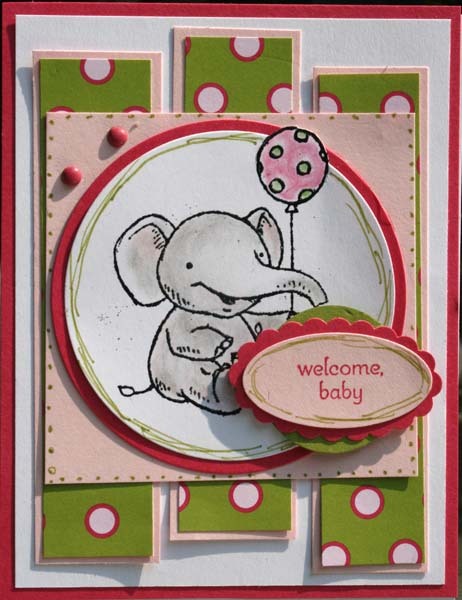 I hope you will stop by here each week, then scoot on over to the Challenge Blog to see how the other designers interpreted the sketch. 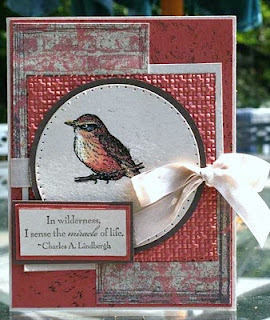 I am amazed by the creativity of the artists in this group. Make sure to play along, too! 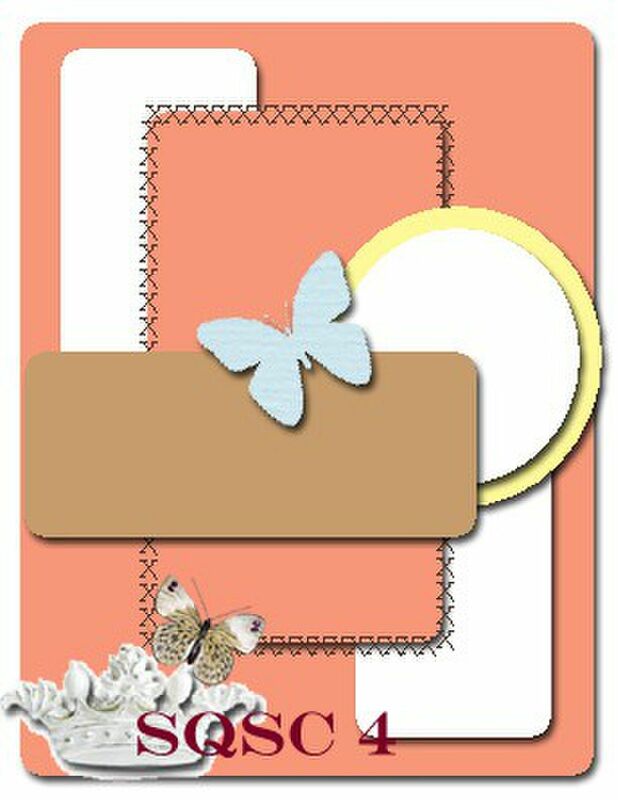 As you can see, I changed my elements a little bit -- my layers are in a different order and the embellishment on the top layer (a butterfly in the sketch above) was moved to the upper left. Still, it is in the same spirit! Other: Scallop Punch, Beautiful Wings Embosslits die, Square Lattice embossing folder, Sahara Sand Marker. Okay, now it is your turn! 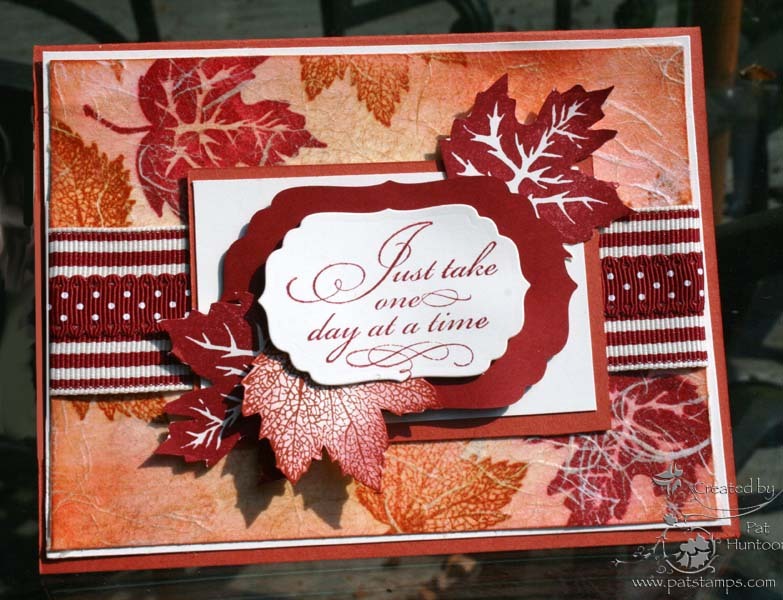 Go to the Stampin' Queens Challenge Blog and add YOUR creation! Today's card is for the LNS 138 Challenge: to use two of Stampin' Up! 's In-colors on your creation. 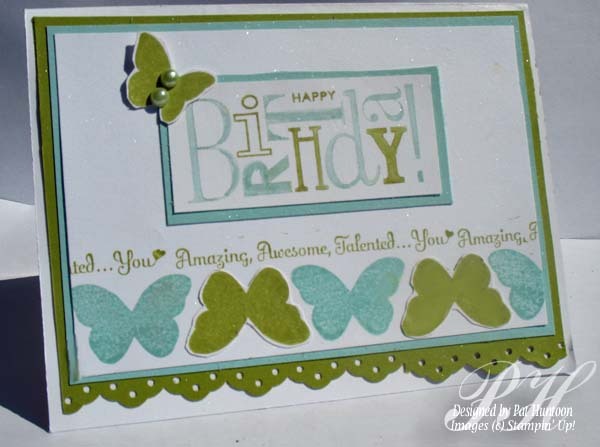 My card uses Pool Party and Lucky Limeade together -- I just love this combination of Blue and Green. The stamps I used for the card are all hostess sets: Happiest Birthday Wishes, Perfect Words and Precious Butterflies. After I made the card, I sprayed it with some homemade glimmer spray -- Alcohol and a few drops of shimmer paint. It is sparkly in real life! Hope you can play along this week. I am thrilled to have been chosen as a Guest Designer for Stampin Up LNS for the month of September. It is such an honor for me! 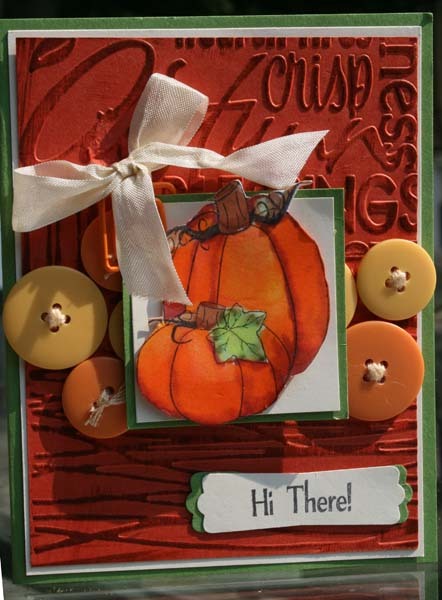 Each week the group is presented with a themed challenge. 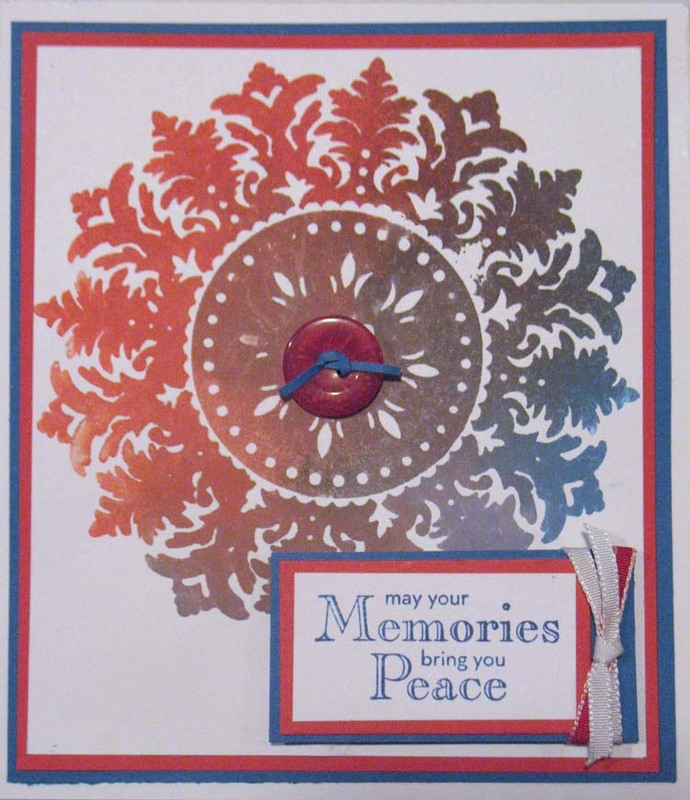 This is the first challenge for September: Remembering 9/11. Living close to New York, we know many families affected by 9/11; it is such a sad day in our history. It is up to us to remember those who have fallen and to celebrate the fallen heroes. I hope my card honors their memories appropriately. 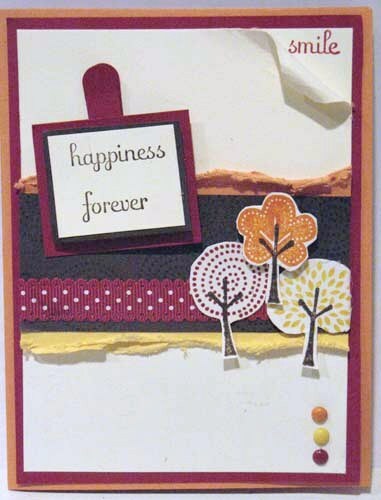 My card uses Stampin' Up! 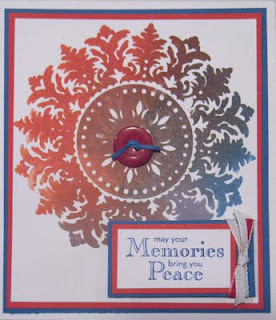 's Medallion stamp colored using the Non-Stick Color Technique from the June 2011 issue of the Technique Junkie Newsletter. 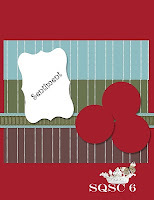 The sentiment stamp is from the Blessings from Heaven set. LNS 136: Tear Into it! I love this little goose from the Stampin's Up! Cherish Friendship set, and I have played with coloring him a few different ways. 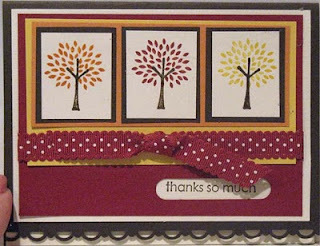 This card uses the Pencil over Marker Technique from the February 2005 issue of the Technique Junkie Newsletter (that is what I love about classic techniques -- they never really expire!). The LNS challenge this week was "Tear into it", so I used the Torn Frames Technique (December 2008 issue of the TJNL) on one side only. The background uses Burnished Resist. It's Friday, I finally have power, and life is good! 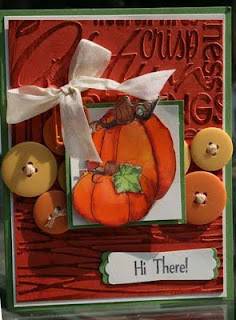 I made this card for Blogger's Challenge this week. 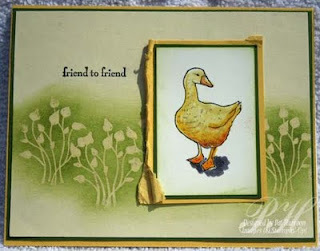 I actually stamped this by the light of batteries, so be kind about the color combo! Our challenge this week was Monochromatic Blues. 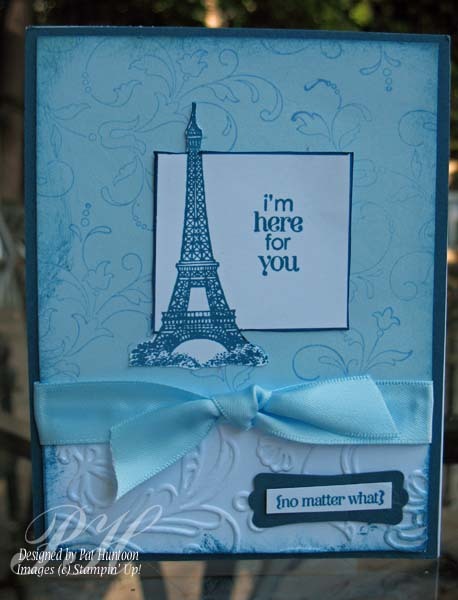 I took that a step farther -- and made a card for someone who HAS the blues! 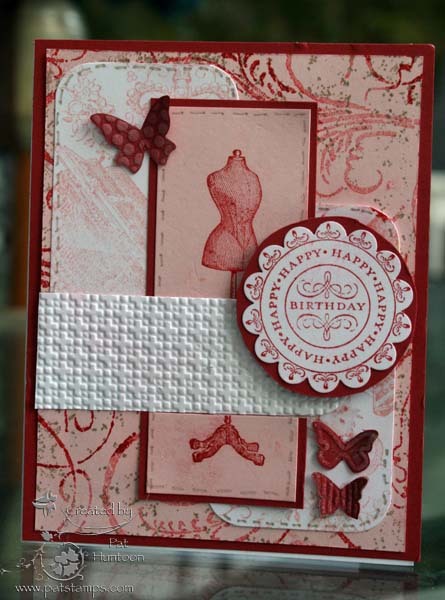 My card uses the Out of the Box Technique from the October 2004 issue of the Technique Junkie Newsletter (yes, that was 7 years ago! How time flies!). 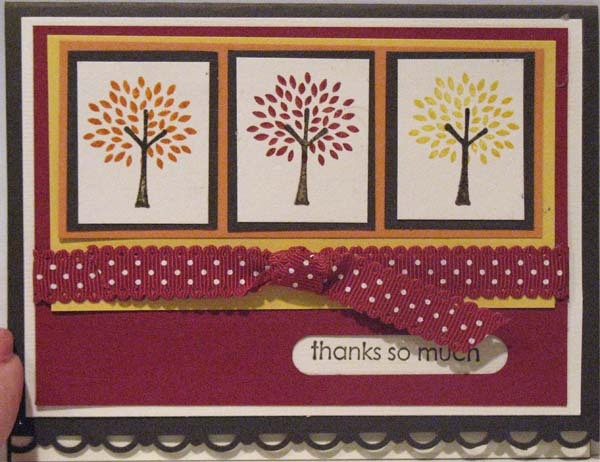 All of the stamps are from Stampin' Up! (listed below). Want to play along? Simply follow the links below to play along (you might want to look at Lisa Somerville's Blog FIRST to read some qualifications (not much, but there are a few rules). Can't wait to see what you do!